iDongle is a new device that lets you to jailbreak your iPhone/iPod Touch or reboot it on the go. It is very easy to use - just plug it in and wait. The only problem is that it supports only iPod Touch 2G/3G and 3.1.2 iPhone 3GS. At the moment there is only a dozen of this devices, but the developer says he collects money at the moment to build up a full-fledged production. 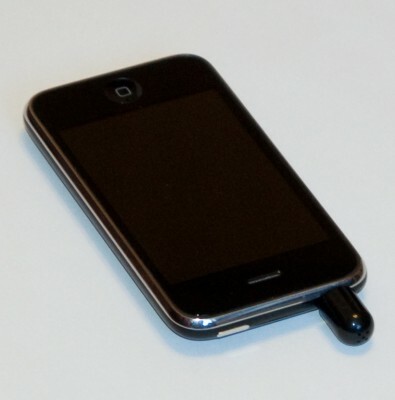 Today we will take a look at an interesting accessory - external microphone for iPods and iPhones. As for the iPod everything it is quite simple - in order to record something you need an external mic. iPhone has it's own internal microphone. However the quality of the recording would be better with external one. We performed a simple test: recorded the iTunes radio using Voice Memo application on the iPhone. First we used internal microphone and later we attached the external one. The quality of the external is slightly better. It is more sensible and the level of noise is lower which is good. Here are the sample recordings (m4a format): Internal, External. You can buy one for $3.12 at BudgetGadgets. They have free shipping worldwide. Use the coupon name VM5OFF5 during checkout, it will give you additional 5% discount. 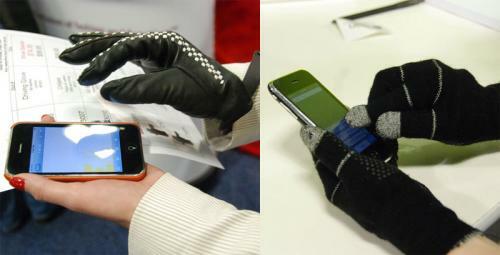 Have you ever tried to find in accessory for your iPhone or iPod Touch that looks nice and doesn't cost too much? I recently decided to renew the case for my iPhone. While browsing over the internet I've found a nice place with many good choices. I've chosen classical black leather. It it very well made and looks great. 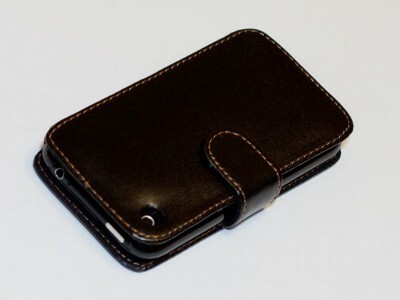 It fits well for iPhone 3G/3GS and even iPhone 2G. You can buy one for just $4.14 at BudgetGadgets. There are discounts if you buy more than one. This shop has free shipping worldwide, which is also nice. Use the coupon name VM5OFF5 during checkout, it will give you additional 5% discount. What do you think? Fake? 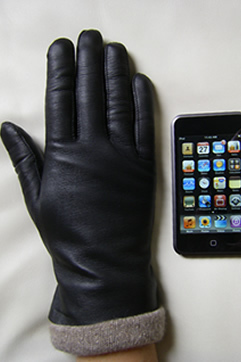 A new group of hackers claim they found a new exploit for the iPhone 3GS and iPod Touch with the new BootRom. This means that jailbreak for iPhone 3GS (late models) and iPod Touch 2G (MC) and iPod Touch 3G will be available. 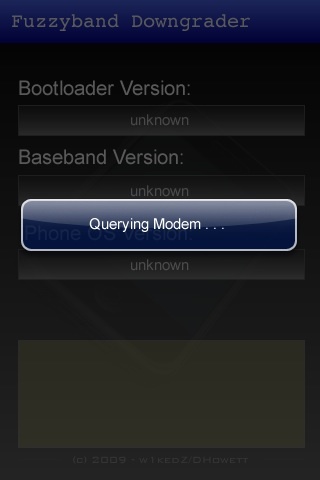 We just found an amazing Exploit in the Boot-System of the 3GS with the new Bootrom! This Exploit works on ALL iPhone and iPod Touches! 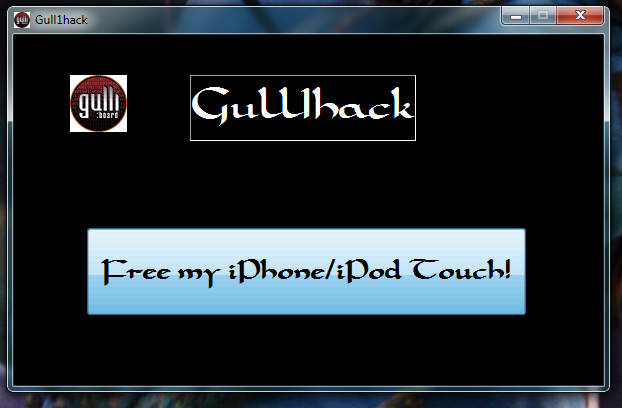 The tool will be called Gull1hack. The operation is very simple and the code is sent when the device is in recovery mode, just like Blackra1n and Redsn0w do. This jailbreak tool has been neither confirmed by Geohot nor from the DevTeam. Many users think this is fake. We'll see. In this last post we'll tell you about new Drivesavers instructive app, virtual iPhone planetarium, papershow tool for making presentations, Inklet software to turn Mac multi-touch trackpad into a drawing tablet and a tool for creating your own iPhone apps. 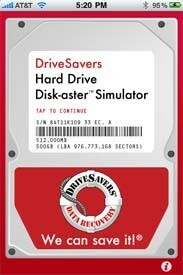 Free DriveSavers Hard Drive Disk-aster Simulator app for the iPod Touch and iPhone is a new way to study how a hard disk works. It teaches in interactive fashion about all the things that may crash a drive, what happens during a seized motor, clicker failure, SSD failures, contamination and head crashes. 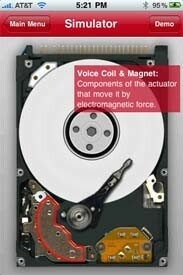 Also you’ll learn how the data recovery gets done and see the inside of a hard disk. That looks pretty instructive. As expected iH8sn0w released f0recast, the application that allows us to know a lot of useful information about all we can do with our iPhone. Just connect the iPhone with the cable to see what is version of the baseband or iBoot. 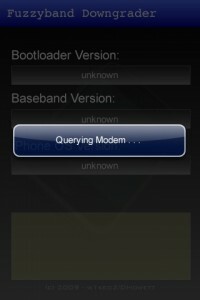 The utility will also give valuable information if we can perform a jailbreak (tethered or untethered). It will also tell if the Phone is unlockable and will give a suggestion what unlock software can be used. You can download it directly from here. Unfortunately there is no Mac version for now. MuscleNerd just posted interesting comment on Twitter, saying that the application is inaccurate regarding to the iPhone 3GS. There might be a new update soon. For all other devices the application works just fine. The annual Pwn2Own hacking contest is coming up next month. During the event competitors will be given the chance to win cash prizes. The competition will start on March 24 at the CanSecWest security conference in Vancouver, British Columbia. This year, hackers will take on an iPhone 3GS, a Blackberry Bold 9700, an unspecified Nokia smartphone running the Symbian S60 platform and a Motorola, most likely a Droid, powered by Google 's Android. A successful hack must result in code execution with little to no user-interaction. 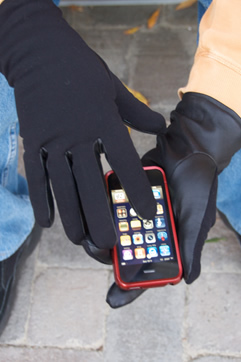 Any exploited phone wins its attacker $10,000 in cash. 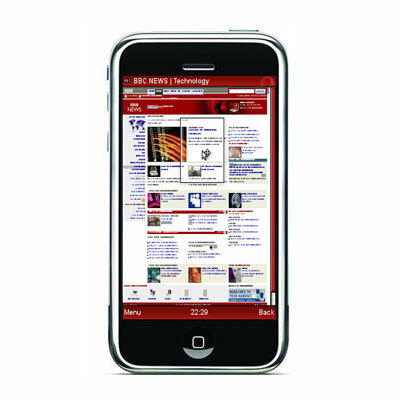 Opera had finally demonstrated new Opera Mini for the iPhone at the Mobile World Congress. In comparison to the default iPhone browser it looks pretty quick - Opera Mini loads the New York Times like 5x faster than its rival. Its main disadvantage is that it lacks the all-important feature pinch-to-zoom, and the only alternative is a method of double-tapping the webpages. Generally, the iPhone owners will find that the usual silky smooth scrolling through favorite webpages and responsive interface are maintained at the very best. Unlike other platforms, the iPhone variant actually remembers the website you happened to browse last - the feature that will obviously be favored by a legion of iPhone admirers. "Opera Mini is the world's most popualr mobile browser and users on the iPhone deserve a choice." 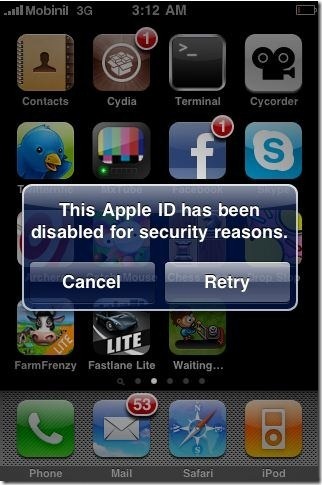 It looks like Apple has started banning iPhone hackers from the iTunes App Store. For now Apple isn’t banning Jailbreakers - they’re banning people who actively work to find exploits in the iPhone software to create Jailbreaks for the rest of us. 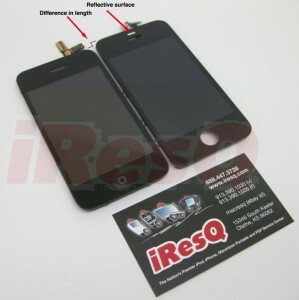 iPhone repair site iResQ.com has posted photos of the parts for the iPhone 4G that will be released later this year. 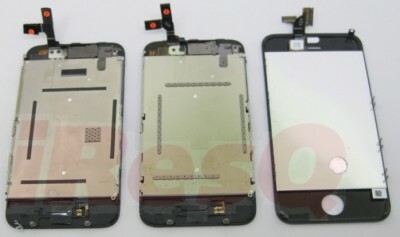 As we can see, the most notable feature is a front panel, which is approximately 1/4” taller than the iPhone 3GS. You can also notice the reflective surface on the new front panel that is located just above the earpiece slot. 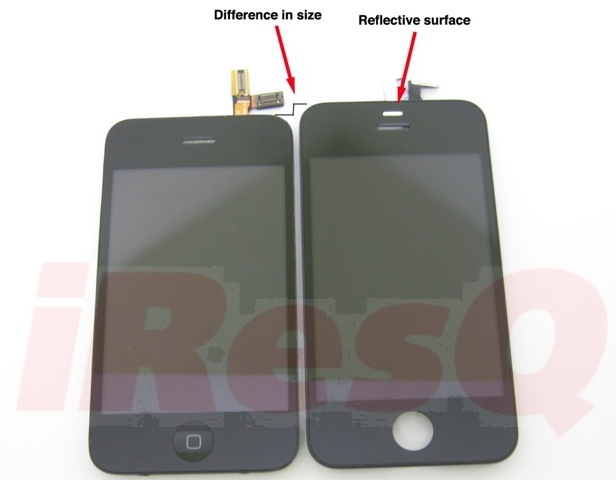 iResQ suggests it is a likely location for a proximity sensor, though that wouldn’t explain the need for the mirrored surface to be visible on the front of the device. The LCD appears to be factory glued to the digitizer. 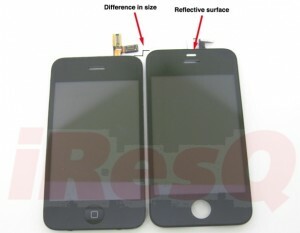 This looks more like the iPhone 2G than the 3G or 3GS, as the latest versions have a digitizer that can be separated from the LCD. This means for us that the 4G screen repair prices will be much higher since both parts will have to be replaced at once.